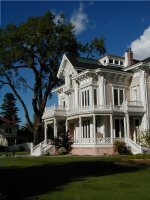 The Gable Mansion is an Italianate-style Victorian Mansion built in 1885. 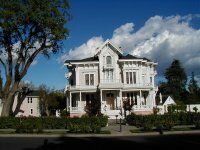 The Gable Mansion, an outstanding example of 19th-century Victorian Italianate architecture, is one of the last of its style, size, and proportion in California. 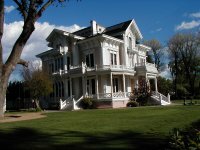 This structure was built in 1885 for Amos and Harvey Gable, pioneer Yolo County ranchers. Another View. 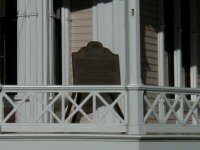 Marker Plaque Can Be Seen on Porch.